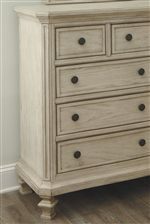 Select oak veneer and hardwood solids in a gently distressed vintage parchment white finish complement the transitional design details of this chest of drawers. 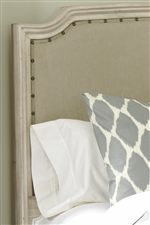 It is the perfect piece for bedroom storage with ample style. It features clear finished drawer boxes with French/English dovetail construction plus side mount ball-bearing drawer glides for quality and ease of use. A subtly shaped case front is accented with heavy molding trim. 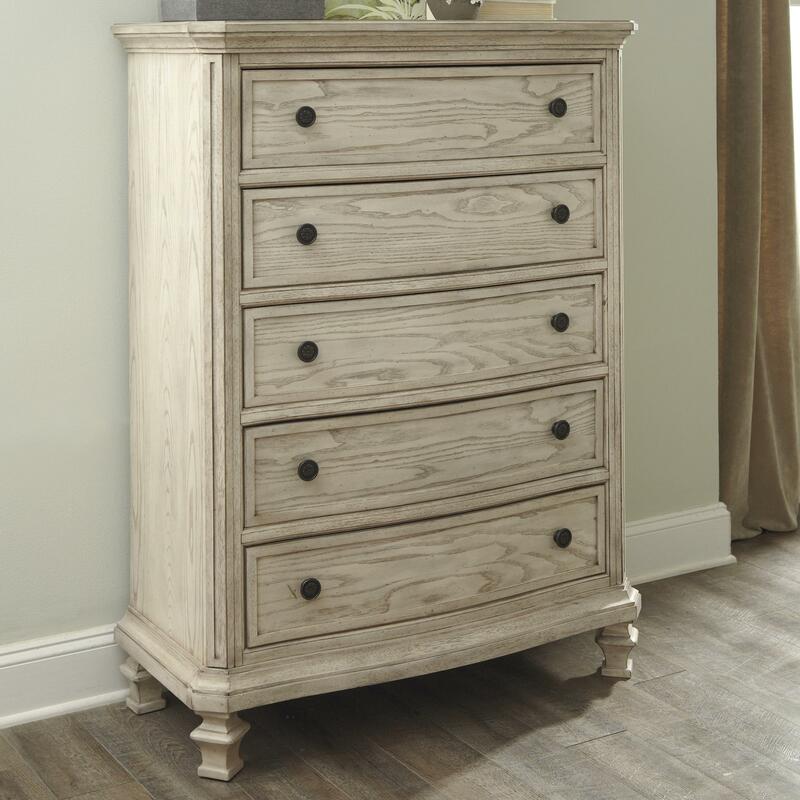 Shaped feet and antique brass color knobs finish the stylish look of this chest. The Demarlos Vintage Parchment White Finish Chest with 5 Drawers by Signature Design by Ashley at Miskelly Furniture in the Jackson, Pearl, Madison, Ridgeland, Flowood Mississippi area. Product availability may vary. Contact us for the most current availability on this product. Drawer / Shelf Construction Drawer boxes are clear finished with French/English dovetail. Select drawers have felt bottoms. The Demarlos collection is a great option if you are looking for Relaxed Vintage Transitional furniture in the Jackson, Pearl, Madison, Ridgeland, Flowood Mississippi area.